Does your life feel unmanageable? Do you feel overwhelmed? Stressed? Overworked? Do you feel lonely or as though others do not understand you? 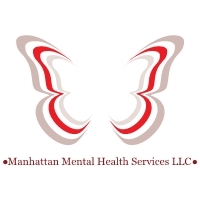 Manhattan Mental Health Services, LLC is a resource for help. We offer services to help people that live in Manhattan and surrounding communities (including but not limited to Wamego, St. Georges, Westmoreland, Zeandale, and Junction City). Our mission is to provide quality care to clients in a supportive environment. We approach each person with the understanding that their experience of the world may differ from our own and that we may collaborate together to develop goals that are fulfilling and allow individuals to thrive. *Services may not be available at all times, call or email to inquire. © 2016 Manhattan Mental Health Services, LLC. All rights reserved. 1623 Poyntz Avenue. Manhattan, Kansas.